March 2015 Libra Horoscope forecasts that it is time to concentrate on family matters. It is time you strengthen the emotional aspect of life during the first three weeks of the month. Career issues will become dominant after that for people born under the star sign of the Balance. Excellent skills are necessary to accomplish your goals as most of the planets are in the Western part of your horoscope towards the rising sign. More adaptability is required in March 2015 and your success comes from other people. The Horoscope 2015 predicts that March 2015 offers many chances for Libran businessmen to start new partnerships and expand their business. Professionals will be happy with their work. Unemployed people can look for jobs in which they find satisfaction and enjoyment. 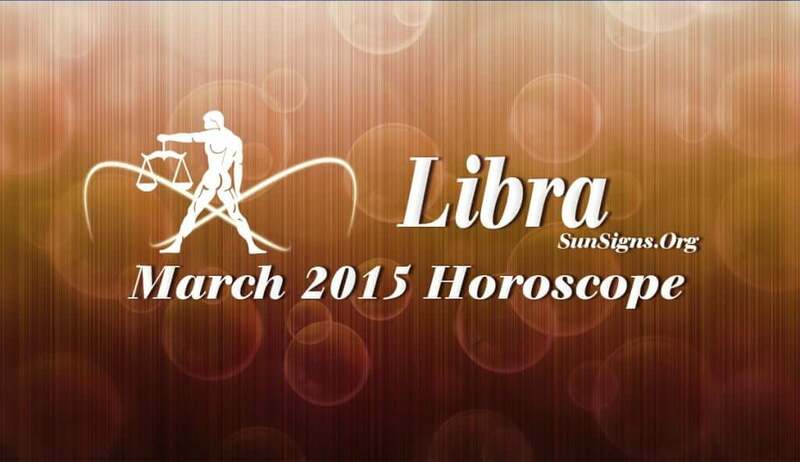 Financially, things will improve after the 21st of the month, foretells the Libra 2015 March horoscope. Large scale investments and spending require thorough examination. You can expect inflow of money from unknown sources. Singles will find love in family circles and social parties. You should spend more time with your spouse and family members. This is also a good month for singles to start dating again after a break up. Plenty of celebrations and partying is seen in March 2015. Socially this will be a hectic and enjoyable period. Relationship with children will be excellent. This is also a good time to get pregnant astrologically. The Libra monthly horoscope predictions for March 2015 foretell that your health will be superb with regular exercise and proper diet. After 21st, you have to take it easy with sufficient rest. Yoga and meditation can give you a lot of mental peace.